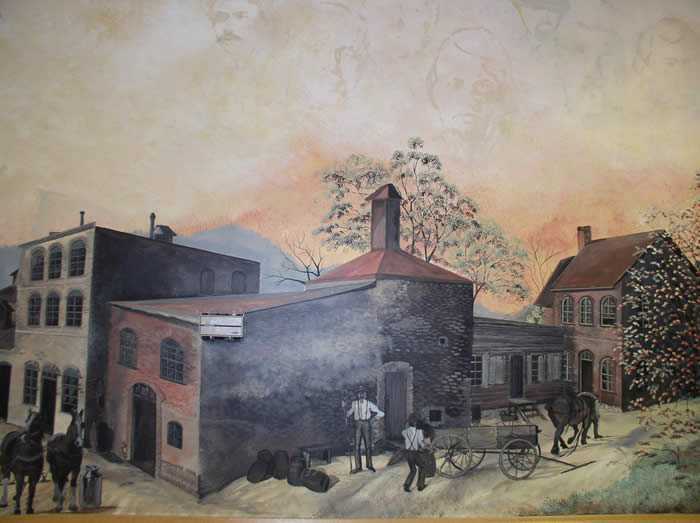 In February of 1997, local artist, Lana K. Beck was commissioned by Simon and Joan M. Haefner, Haefner Enterprises and Pavilion Place owners, to paint a historic mural depicting the Borough of Belle Plaine in the 1800's. The first year, Lana spent two days per week in extensive research, poring over historic books and photos, drawing sketches and interviewing Belle Plaine's senior citizens. What resulted became a mural over 179 feet in length; it covers approximately 1,3425 square feet of blank wall. 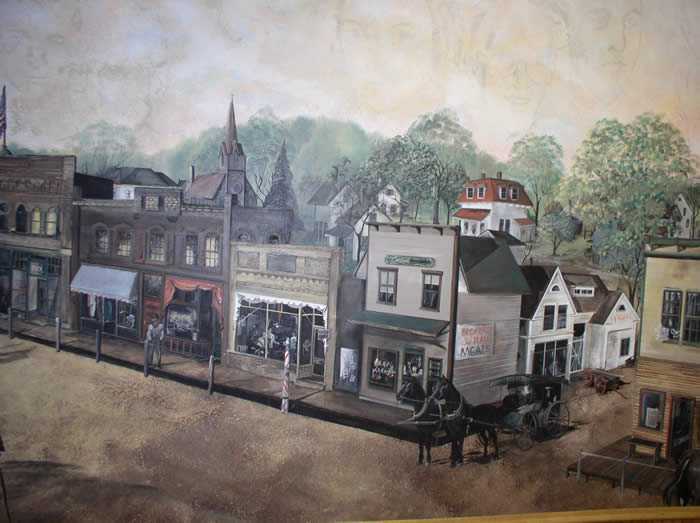 The time frame of 1870-1917 was selected to provide the opportunity to take a look at the young community that was filled with hope and busy with new business. This time frame was the busiest in the town's history. 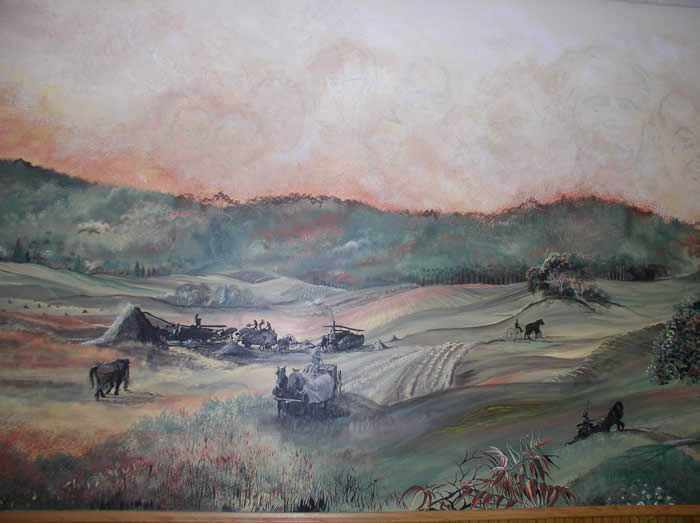 "The mural scenses of the 'Beautiful Prairie' of Belle Plaine draw from a history of people who have passed through this little piece of the world for a quiet night, or a special lifetime. The community strengths are those faithful choices of helping ourselves by helping others first. Change has not always been popular, but has proven to encourage growth." 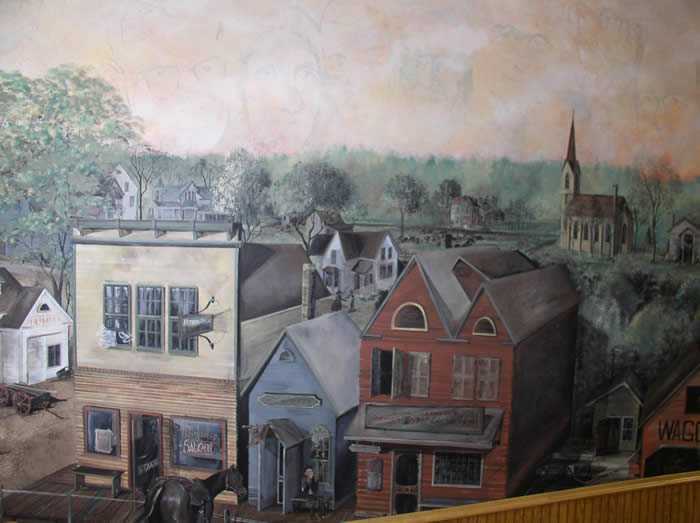 The Belle Plaine Historical Mural ("Mural") is located in what is now the Belle Plaine City Hall. Formerly the Pavillion Place, a reception and dance hall, the City of Belle Plaine "purchased" the builiding in 2004 and formed the City offices in the reception/bar area and the Council Chambers are on the dance floor, where the "Mural" is located. 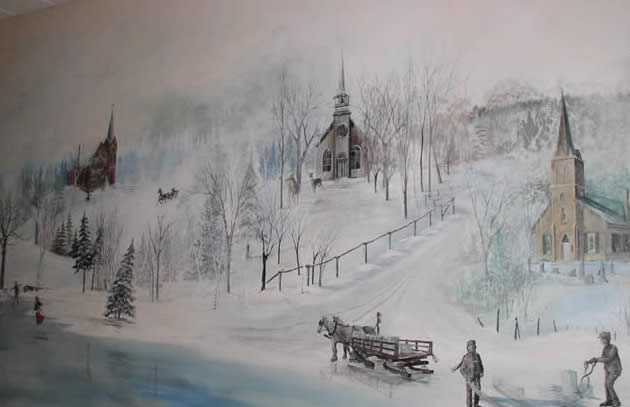 Through the renovations, except for new paneling and trim, the "Mural" remained untouched and remained the same as when Lana painted it. 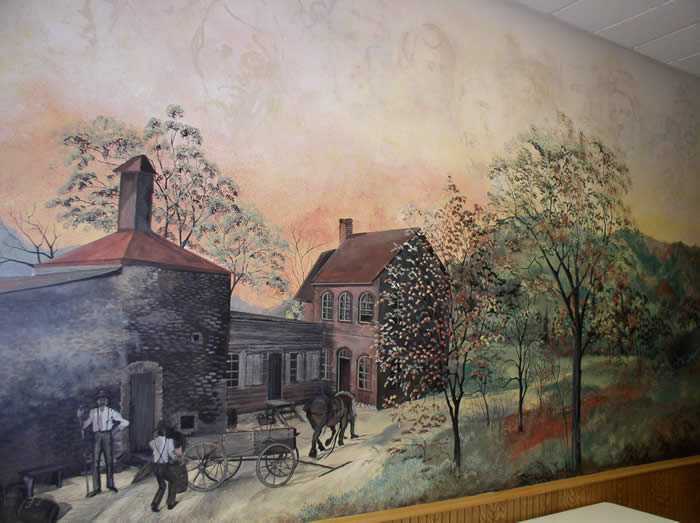 You are welcome to come view the "Mural" during the City Hall business hours.